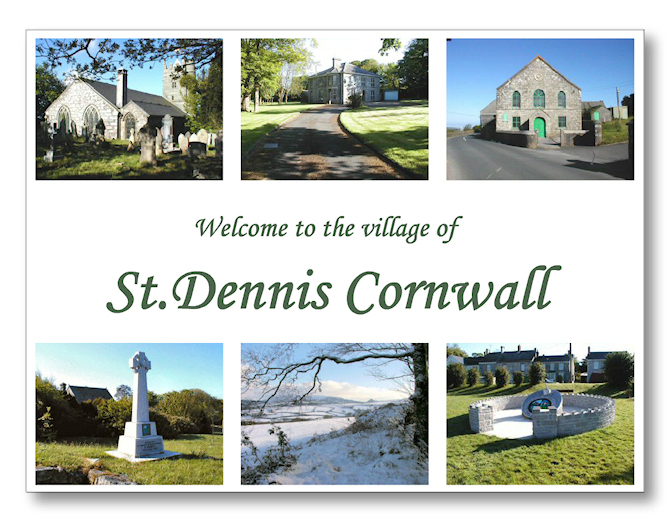 This is a community website for the village of St.Dennis in Cornwall. Herein lies a wealth of information about the village today and also days gone by. Information about many of the organisations in the village can be found in the community directory. Links to business and organisation websites is included along with their contact details. Contributions are welcome from anyone who has information or photographs relating to the village that might be of interest. and that of his wife Margaret's family connection with the chapel.